West Vancouver real estate agent Brock Smeaton thinks highly of the Fraser Institute‘s report card. “Independent assessments of educational institutions such as the Fraser Institute‘s annual ranking of BC schools consistently place West Vancouver schools in the upper echelons,” he wrote on his web site touting West Vancouver homes. Parent T.W.H. obtained Fraser Institute school rankings to support his claim for custody of his children, in an action in the BC Supreme Court. He lived near a school ranked 53rd, while the school that parent K.L.H. wanted the children to attend was ranked 354th. Three snapshots of how people are using the Fraser Institute report card. Report card author Peter Cowley boasts that “in 2009 alone visitors to the Fraser Institute‘s website requested nearly 200,000 tables of detailed results for individual BC elementary schools.” But what kind of information are these visitors getting? On the 2010 report card for BC elementary schools, for instance, Roosevelt Park in Prince Rupert was ranked 875th out of 876 schools in the province. Yet economist David Johnson of the C.D. Howe Institute says that, based on his ranking system, Roosevelt rates as one of the top 17 schools in the province! How is such an enormous discrepancy possible? Then there is the case of Torquay Elementary in Victoria, which the Fraser ranked as 131st in its 2009 report. University of Victoria education professor Helen Raptis notes that the percentage of Torquay‘s Grade 4 students that met or exceeded expectations on the Foundation Skills Assessment tests (the basis for the Fraser and C.D. Howe rankings), was 97 percent (for reading), 85 percent (writing), and 87 percent (numeracy). These figures, Raptis observes, are significantly higher than those for Pacific Christian School, which scored 83 percent (reading), 69 percent (writing), and 76 percent (numeracy). Yet Pacific Christian ranked 108th. But this claim is not credible. As this report will demonstrate, ranking schools is a carefully conceived stratagem to accelerate the privatization of education in Canada. When seen in the context of the institute‘s other education activities—providing privately financed vouchers so that low-income students can attend private schools, encouraging private school chains to enter the Canadian education market, training teachers in neoliberal economics—the report card clearly has a purpose different from its authors‘ claims. Neither report card author, Cowley or Stephen Easton, has a background in education. They come from marketing and neoliberal economics respectively, which perhaps is a better indicator of the report card‘s purpose. It is part of an arsenal of privatization techniques launched in 1955 when economist Milton Friedman argued for a system of government-provided vouchers that would allow students to go to any school they desired, for-profit, non-profit or government (Friedman‘s term for public schools). But critiquing the report card will not make it go away. As social psychologists have discovered, denying a claim—school report cards are a poor way to assess student achievement—simply reinforces the claim. It is better to make a new claim that makes no reference to the original one. Cognitive scientist George Lakoff argues that two frames, or fundamental values, dominate modern western societies. He calls the frames conservative and progressive. They may also be thought of as freedom and justice. In the 1960s these values merged in the civil-rights movements of African-Americans, students, women, and other oppressed groups. As Martin Luther King Jr. said in his stirring “I Have a Dream” speech on August 28, 1963, at the Lincoln Memorial in Washington, DC: “I have a dream that one day even the state of Mississippi, a state sweltering with the heat of injustice, sweltering with the heat of oppression, will be transformed into an oasis of freedom and justice.” But half a century later, the oasis of freedom and justice remains a speck on the horizon. For that unhappy state of affairs we can thank the work of neoliberals like Milton Friedman, who captured control of public policy by driving a wedge between freedom and justice, sanctifying the former and demonizing the latter. The lofty value of individual freedom was debased into shabby advocacy for the free market. Freedom of speech, of association, and of choice became freedom to exploit and freedom to be greedy, as Austrian philosopher Karl Polanyi warned. Freedom came to mean being free to choose between competing consumer products, such as higher- and lower-ranking schools. As the Fraser Institute puts it, the purpose of the Children First voucher program is to help .families afford the school of their choice. Justice, in its many manifestations—social, economic, environmental—was attacked mercilessly, while the two institutions most capable of promoting justice, government and unions, were cast as enemies to be crushed. For Fox News Channel resident demagogue Glenn Beck, social justice is a threat to freedom. He recently defined it as “forced redistribution of wealth with a hostility toward individual property rights, under the guise of charity and/or justice,” perpetrated by progressives, socialists, and Marxists. Unions have a long history of promoting justice. The BC Teachers‘ Federation, for example, engages in many social-justice initiatives that “focus on poverty, child and youth issues, race relations, gender equity, homophobia and heterosexism, bullying, environmental issues, globalization, and violence prevention,” as well as on aboriginal education. The task for progressives is to condense social-justice programs into a frame that can be clamped onto education and can challenge the hateful rhetoric of the Glenn Becks of the world. If public education supporters hope to counter the success of the neoliberals, they must stop denying the free-market frame and start constructing a frame based on social justice, and they must be prepared to do this consistently for many years. Neoliberalism is a slippery concept to pin down. Those who are accused of being neoliberals no longer use the term, preferring to call themselves libertarians (in North America), market liberals or classical liberals. In the early years, though, they did call themselves neoliberals: Milton Friedman even used the word in the title of a 1951 survey of his comrades. The roots of neoliberalism can be traced to 1947, when Austrian economist Friedrich Hayek invited leading European and American intellectuals of various free-market persuasions to meet at the Hotel du Parc in Mont Pèlerin, a village close to Lake Geneva in Switzerland. During their ten days of talk they agreed to form the Mont Pèlerin Society, with a mandate to work toward an individualistic, non-egalitarian society governed by market transactions. But this would become reality, they understood, only if they could capture and reorganize political power. This activist ambition differentiates Mont Pèlerin Society liberals from those who came before. They stopped using the term in the late-50s because they didn‘t want to dwell on the fact that the liberalism they espoused differed radically from the liberalism that stretched from Adam Smith (1723–1790) until their time. Key was their belief that the market society they desired would not come about without concerted political effort and organization. They were certainly not laissez-faire conservatives who believed government should just not interfere in economic affairs. They were radicals who demanded dramatic government action to create and enforce markets. In postwar Europe and North America, they couldn‘t hope to accomplish this task by entering politics directly. The obstacle was that the prevailing climate of ideas supported the introduction of social and economic rights and the construction of a welfare state which, for Hayek and his fellow neoliberals, would lead to a nightmare world of “collectivism and socialism. “To capture political power, they would first have to alter the intellectual climate,” writes Timothy Mitchell of Columbia University. To alter the intellectual climate, Hayek wrote in a 1949 essay in the University of Chicago Law Review, neoliberals would have to reach what he termed “second-hand dealers in ideas”—journalists, teachers, commentators—“who control the distribution of expert knowledge to the public.” To accomplish this further task, the intellectuals in the Mont Pèlerin Society designed their own network of dealerships, or as we know them today, think tanks. “Backed with funds from corporations and their owners, usually channeled through private foundations,” Mitchell writes, “think tanks repackage neoliberal doctrines in forms that ‘second-hand dealers’ could retail among the general public.” Doctrine was supported with evidence presented as ‘research,’ which was then translated into books, reports, studies, teaching materials and news stories and distributed to news organizations. Later, think tanks developed a variety of simplistic indexes because these were more likely to receive favourable distribution to target audiences. Annual indexes are effective in persuading people to change their minds because they prey on most people‘s discomfort with statistics, and they are repeated year after year. Sixty years after a despondent Hayek invited his fellow neoliberals to Mont Pèlerin, the organization they created constitutes a worldwide network of over 1,000 scholars, journalists, think tank professionals and corporate and political leaders, with a closely related network of over 200 neoliberal partisan think tanks. Many countries have lived through the election of neoliberal governments and the implementation of neoliberal doctrine. Even countries where nominally progressive or liberal parties were victorious have been constrained from introducing progressive measures because of the changed climate of ideas. The project would have floundered in impotence had it not been for key financial and organizational support from a group of conservative businessmen. Harold Luhnow headed Volker & Co., the US’s largest wholesale interior furnishings business, and was a strident anti-New Deal conservative. Luhnow financed the creation of the first neoliberal think tank, the Foundation for Economic Education, in suburban New York state in 1946 and supported the founding of the Mont Pèlerin Society in 1947. Luhnow also financed the Free Market Project at the University of Chicago‘s Law School, later transformed into the Chicago School of economics which, for a few years, helped create a veritable free-market state under the brutal heel of Chilean dictator Augusto Pinochet. Democracy, Hayek noted, was not a necessary precondition for a free-market state. In fact, he said on several occasions, it could be an impediment, as the Chilean experiment demonstrated. More relevant to the Canadian situation was the work of Antony Fisher, a British businessman who made a fortune by introducing factory-farmed chicken in Britain after the Second World War. Like most rich people, Fisher believed that capitalism produces more wealth and distributes it more fairly than any amount of government intervention can ever achieve. Fisher had read—and embraced—Hayek‘s The Road to Serfdom, in which Hayek urged reducing government intervention in the economy to a bare minimum because any government actions would lead to slavery and serfdom. Politics, Fisher thought, might be an avenue to promote his ideas. But Hayek advised Fisher instead to set up a think tank to supply intellectuals in academia and the media—the second-hand dealers—with authoritative studies of free-market economics and their application to policy issues. Fisher liked the idea and obliged by establishing the Institute of Economic Affairs in Britain in 1955 which, along with other neoliberal think tanks and over 20 years of effort, was instrumental in altering the British climate of ideas to such an extent that Margaret Thatcher could be elected prime minister. Before that momentous day, Fisher sold his poultry business and became very wealthy. In 1970 he founded the IEA‘s American counterpart, the International Institute for Economic Research in Los Angeles. And shortly after that, Fisher was invited to Vancouver by Michael Walker (who knew of Fisher‘s work through Walker‘s friendship with Milton Friedman) and MacMillan Bloedel vice-president Patrick Boyle, to help establish the first Canadian neoliberal dealership, the Fraser Institute. Fisher also established two more think tanks, the Manhattan Institute for Policy Research with William Casey, a Wall Street speculator and later, Ronald Reagan‘s CIA director, and the Pacific Research Institute, with local business leader James North in San Francisco, choosing geographical names to blur their ideological purpose. Fisher received requests from business people around the world to help them set up similar organizations in their own countries to promote the free market (i.e., capitalism) and bring democracy to heel. In 1981, he established the Atlas Economic Research Foundation to automate the process of establishing and running such think tanks, having perfected a formula for funding, projects, experts and promotion. Atlas is based in Arlington, Virginia, and is named after Ayn Rand‘s libertarian screed Atlas Shrugged. Today it works with more than two hundred neoliberal—Atlas calls them .market-oriented.—think-tanks around the world. Atlas‘s executive director, Alex Chafuen, is a long-standing Fraser Institute trustee. When Atlas celebrated its twenty-fifth anniversary, it could boast of affiliated think-tanks in six Canadian provinces, forty-four American states, nearly every country in Central and South America, eleven African and Middle Eastern countries, every country in Greater Europe except Latvia, he Netherlands and Bosnia and Herzegovina, and most countries of South and Southeast Asia. It was an instructive display of global corporate power. But, as was the intention of the project from the beginning, global corporate power was masked behind a facade of independent research. The school report card is a prime illustration of how neoliberal think tanks repackage doctrine in a form that second-hand dealers in ideas, in this case commercial media, can retail to the general public, or at least to parents of school-aged children. The doctrine was first enunciated by Milton Friedman in his 1955 essay, “The role of government in education.” Friedman worried about .the trend toward collectivism. and called for .the denationalization of education.. He complained that public schools—“government schools,” he called them—had an unfair advantage over private schools because parents could send their children to public schools without special payment. Very few parents could send their children to private or parochial schools unless they too were subsidized. He worried that government schools would engage in “indoctrination inhibiting freedom of thought and belief,” but did not seem to be concerned that private schools might engage in indoctrination for the free market or for a religious dogma. To move away from “government schools,” Friedman proposed a system of vouchers, which local governments would give to each child through the child‘s family to pay for a general education at any type of school the family deemed appropriate. “Competitive private enterprise,” Friedman claimed, “was likely to be far more efficient in meeting consumer demands than…nationalized… enterprises,” but presented no evidence to back this proposition. It was an example of faith prevailing over fact. In 1995, Friedman renewed his call to privatize public education in a major article in the Washington Post. Public schools were not really public at all, he claimed, “but simply private fiefs primarily of the administrators and the union officials.” Government schools needed competition from the private sector, which could transform education, just like UPS and Federal Express had transformed package and message delivery. Once again Friedman recommended vouchers as the way forward, but vouchers were not to be seen as an end in themselves. They were a “means to make a transition from a government to a market system.” Vouchers, however, were a hard-sell in a country that believed in the separation of church and state. Many people were opposed to the use of government-financed vouchers to send children to religious schools. So neoliberals developed report cards as an interim measure, to build momentum for vouchers. Friedman‘s adopted state of California was one of the first to create state-wide school report cards on individual school performance. It was a precursor to the Fraser Institute‘s report card, with one important difference. Public education needs accountability and resources. The state of California tried to balance these factors. The Fraser Institute, in contrast, took one measure of accountability—the report card—and, to achieve its ideological purpose, ignored the need for resources. During the 1980s, funding for education in California was in a precarious state thanks to the passage of Proposition 13, “The People‘s Initiative to Limit Property Taxation,” in 1978. This measure amended the state constitution to permanently lower property taxes which, up to that time, had been a key source of funding for public education. In response, the state took control of school district funding, precipitating a substantial decline in state-wide school spending relative to other states. “The decline in spending likely led to larger class sizes and perhaps to lower achievement levels for students in California compared with those across the nation,” reports the Rand Corporation in a review of accountability in education. The researchers could not be more definitive because “there are no reliable longitudinal data on student achievement in California that reach back to the 1970s, thus preventing a direct comparison between school funding and student achievement.” They did note, however, that in the well-funded 1970s, California‘s public schools were considered to be among the nation‘s best. They also found that California students taking national achievement tests during the underfunded 1990s underperformed on average students in every other state except Louisiana and Mississippi. To counter the serious deficiencies in resources and performance, in 1987, a coalition of teachers, administrators and parents unveiled a ballot measure that would boost funding for state public education. To garner public support for increased spending and to increase accountability, the proposal required that report cards be produced to monitor the progress of California schools. This measure, Proposition 98, “The Classroom Instruction Improvement and Accountability Act,” was placed on the November 8, 1988 ballot. It would amend the state constitution to guarantee a minimum percentage of the state budget would go to public education each year. In return for the guaranteed funding, the department of education would prepare school accountability report cards to let parents and communities measure student progress, school conditions and the quality of education. The report card was an expansion of an earlier version established in 1983 by the state Superintendent of Public Instruction as part of its accountability program. The proposition was opposed by business groups, major state newspapers, the California Taxpayers Association and Republican Gov. George Deukmejian, who voiced concern about increased taxes. The measure barely squeaked through, 50.8% to 49.2%. The change did not help much because it virtually institutionalized the reliance of education funding on the extreme fluctuations in the state‘s economy. But it did provide an entry for neoliberals and other enemies of public education, who had been waiting for an opportunity to promote school choice in the state. But the proposition lost badly, with 69.5 percent of voters opposed. At first, the proposition‘s backers considered putting another measure on the ballot. But recognizing it would be a hard sell, they instead opted for report cards, which were already being produced by the state government and which would still move the education agenda in the desired direction. The Pacific Research Institute produced its first report card the following year, blaming the poor showing by many schools on “decisions by government education officials” and not the lack of adequate funding. Aside from their common parentage in Antony Fisher, PRI and Fraser Institute are closely connected. PRI‘s long-standing president, Sally Pipes, started out as an economist with the BC Council of Forest Industries, then worked at the Fraser as Michael Walker‘s deputy for over a decade before departing for the PRI. Pipes was certainly clear about PRI‘s mission. The year of the voucher ballot she reported that “our programs restore to parents the fundamental right to choose which schools their children will attend, propose ways to privatize services provided by the state, employ market forces in protecting the environment, and remove the regulatory and tax barriers that impede the engines of entrepreneurship.” PRI set up a Center for School Reform, which began churning out an array studies and report cards that all seemed to argue for vouchers and increased school choice. There are other connections too. Jason Clemens, a Fraser Institute senior researcher for 11 years, was appointed as PRI‘s director of research in 2008. And Everett Berg, the former PRI chairman and school choice proponent, moved from Emeryville, California to Victoria, joining the Fraser Institute board in 1996. The following year, the PRI released its first report card and the Fraser Institute‘s five-year plan, “Towards the new millennium,” concerned itself with a new area of focus: school choice. Milton Friedman‘s 1995 article attacking .government schools. may have put the dealerships on notice that they needed to boost their efforts to privatize education. But how could the Fraser Institute sell the Friedman doctrine to a Canadian public that was largely supportive of public education? Vouchers and charter schools were non-starters in Canada. For its first 20 years, the institute showed little interest in education. It did publish one book in 1988 by SFU economics professor and Fraser Institute fellow Stephen Easton, a staunch advocate for school choice. The book attempted to apply economics to education and found—predictably—that BC‘s education system was not cost effective. The solution was classic Friedman: increase the use of vouchers for private schools. This would save money, Easton argued, because private schools pay teachers less. Vouchers were also good policy because of the general dissatisfaction with the state of public education in BC, Easton claimed, but presented no evidence to back the claim. Easton fits right in with the Mont Pèlerin neoliberals. He received his Ph.D. from Milton Friedman‘s University of Chicago School of Economics in the late-‘70s and went to work in SFU‘s Economics Department. This was a hotbed of neoliberal and Fraser Institute activity during those years, with about a half-dozen faculty members serving as Fraser Institute authors or senior fellows. In the mid-‘90s, Easton turned his attention to global economic freedom, helping the institute concoct another prominent index, the economic freedom of the world. He took a shot at arguing that correctional services in Canada should be privatized (1998) and that marijuana use should be legalized (2008), based, perhaps, on Friedman‘s dictum that making marijuana use illegal offends against our personal sovereignty. Easton‘s most enduring contribution to the promotion of neoliberal doctrine, though, was his co-authorship of the report card. Two years after Friedman called for renewed effort to get rid of “government schools,” Michael Walker outlined the institute‘s education strategy in the Fraser Institute‘s leaked 1997 five-year draft plan. “At the moment, the Institute does not have an ongoing presence in one of the central debates occurring in North America, namely the issue of education choice…we should have,” the document declared. Walker‘s first objective was to work with Friedman‘s voucher-advocacy foundation “to pursue programs of mutual interest.” There were certainly longstanding ties between Friedman and Walker. They were close friends; Friedman was an early Fraser Institute adviser and author. And Walker did join Milton and Rose Friedman‘s organization, the Foundation for Educational Choice, based in Indianapolis. He was still a director of that organization in 2010. That would be Peter Cowley. Cowley had a long way to go to become the Fraser‘s education policy specialist—or did he? Cowley’s qualifications for the job were a B. Comm. from UBC, plus several decades of marketing and management in children‘s crib manufacturing and other sectors. Evidently, management and marketing experience, not a background in education policy, were the requirements for the job. Easton would do the ideologically driven number crunching and Cowley, the selling. It was an ideal partnership for the institute and one that has endured for over a decade. Cowley became interested in the school system in the mid-‘90s, when he participated in a parents’ group at Kitsilano Secondary School. He wrote a primer titled “What you need to know now to help your student prepare for post-secondary education,” which outlined the courses students needed to take for various post-secondary education and training options. The guide was popular and several years later Cowley set up a web site for it. He also expressed interest in evaluating schools by providing profiles so parents could choose the school best suited for their kids. That‘s when he seems to have caught the Fraser‘s attention. The think tank approached him to work on a five-year study of ranking schools. He spent the next year working with Easton analyzing Ministry of Education statistics. He was on his way to becoming the institute‘s education policy specialist. The first secondary school report card was released in March 1998, based on results of provincially-administered exams. In 1999, the BC Ministry of Education, with New Democrat Paul Ramsey as minister, began conducting Foundations Skills Assessment tests in elementary schools. The results of the 1999/2000 and 2000/2001 FSA tests were posted on the ministry‘s web site in October 2001. In 2002, the ministry made school catchment areas permeable, meaning that parents could apply to enrol children in out-of-catchment area schools if space and facilities were available, after catchment area students had enrolled. The following year, in June 2003, the Fraser Institute began issuing elementary school report cards based on FSA scores. Expansion in other provinces was rapid, encompassing Alberta secondary schools in 1999; Quebec secondary schools in 2000 (with the Montreal Economic Institute); Ontario secondary schools in 2001; Alberta elementary schools in 2002; Ontario elementary schools in 2003 (the same year the Atlantic Institute for Market Studies, a neoliberal think tank in Halifax, started ranking all secondary schools in Atlantic Canada); BC aboriginal education in 2004; and Washington state elementary, middle, and high schools in 2009 (with the Evergreen Freedom Foundation). To support the report cards, Walker relied on anonymous donors and two foundations, the Lotte and John Hecht Memorial Foundation, whose money came from selling arms, and the W. Garfield Weston Foundation, whose money comes from a less colourful source—selling biscuits. John Hecht was a Vancouver-based weapons merchant who sold arms to the Middle East—playing both sides of the 1960s Arab-Israeli conflict—and in most other regions of the world. Hecht was a personal friend of George H.W. Bush and raised money for Bush‘s presidential bid. Hecht may have been involved in the illegal Iran-Contra affair, selling arms to Iran to provide funds to arm the Contra rebels in Nicaragua. He pumped his profits into a Vancouver real estate empire and also owned properties in Europe, Israel, Argentina and the United States. Hecht died in 1988 on his European honeymoon with his second wife. He left the bulk of his fortune, estimated at between thirty-two and one hundred million dollars, to his charitable foundation, which provides funds in two areas: alternative medicine in the treatment of cancer; and economic education promoting the free market. This second program was custom-made for Walker. Over the years the Hecht Foundation has provided hundreds of thousands of dollars to finance the preparation of the BC report cards. Galen Weston heads Canada‘s third wealthiest family (after the Thomsons and the Irvings). He and his family have become an important funding source for the Fraser‘s education work. Most of the W. Garfield Weston Foundation‘s funding is for “good works.” It is lead funder for Canadian Merit Scholarships, which enables high school students to attend university. It also leads in donations to the Nature Conservancy of Canada to purchase ecologically significant properties, and the Royal Ontario Museum. But, beginning in 2003, Weston financed the Fraser Institute‘s school vouchers program in Ontario and Alberta, which sends poor children to private and religious schools. Weston also finances the Ontario report cards and provides awards for schools that top the lists and for those that show the greatest improvement from the previous year. By 2009, the last year for which figures are available, Weston had donated $17.5 million to the Fraser Institute‘s education programs. With the deep pockets of its conservative foundation backers, continued support from mainstream media, and increasing online access to the rankings, the institute‘s strategy is to repeat the rankings frequently enough until they become an accepted component of the climate of ideas about education. Once that goal is achieved, the Fraser will be ready for the next step in the trek towards the unequal, individualistic, free-market society envisioned by the Mont Pèlerin neoliberals. A second condition necessary for a free market in education, Cowley writes, is to create a system in which government or private entities provide vouchers so that children from disadvantaged families can attend private schools. Limiting vouchers to children from disadvantaged families was a major modification of the Friedman doctrine. As noted earlier, Proposition 174 lost badly in California. Vouchers were proving to be a hard sell. So neoliberal strategists reframed their proposals to make them less threatening to important suburban and Republican constituencies. Key was to shift the idea of vouchers from a universal policy for all school children to one targeted at low-income families, making vouchers more saleable, yet still moving the privatization agenda forward. The Fraser Institute hewed closely to the new thinking in its voucher program in Ontario and Alberta, which it calls Children First, with funding from the Westons. Poor families compete for these vouchers, which can be used to attend religious or private schools. Perhaps the institute is working toward the day when one provincial government offers its own taxpayer-financed vouchers and for-profit school chains flood into that province. This prospect is most likely to occur first in Alberta, where Danielle Smith, leader of the Wildrose Alliance, stands a good chance of becoming the next premier. Smith has advocated vouchers since she was a Fraser Institute intern in the mid-‘90s. While in the think tank‘s employ, she coauthored a study with Vancouver Sun editorial pages editor Fazil Mihlar (then the institute‘s director of deregulation), which concluded that “schools must be given the freedom to innovate,” and that making schools compete through a voucher scheme was the way to do this. The institute has promoted vouchers in a variety of publications. In 2001—Year 3 of the report card—it published a book on privatization and vouchers, with contributions from leading Canadian, American and international school choice advocates. 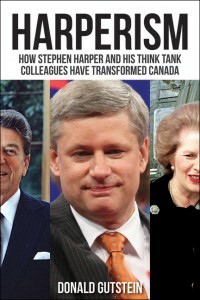 In 2005, it co-published, with the neoliberal Montreal Economic Institute, a document titled “Caring for Canadians in a Canada strong and free,” written by Fraser Institute senior fellows Mike Harris and Preston Manning. They argue that the way to really care for Canadians is to give them school choice and vouchers. The point of the exercise is to undermine public confidence in the system as a whole, to frame education as a market composed of hundreds of individual schools where the improvement or deterioration of a school‘s ranking is due to the effort of principal, teachers, and students. The Fraser Institute already has a program to make this point. It hands out awards—with a little cash (also financed by the Westons)—in BC, Alberta, Ontario, and Quebec, to schools whose rankings topped the list over five years, schools whose rankings went up the most, and schools whose rankings are higher than they should be, given their socioeconomic status. Conclusion: education is improved through the efforts of individual schools. Government officials and teachers‘ unions play no part in this endeavour. In fact, as Milton Friedman insisted, they are the enemy, resisting improved education because they promote their own agendas, which are not those of parents and children. The Fraser Institute‘s school ranking program can be seen as an effective application of the Mont Pèlerin Society‘s agenda. Neoliberal doctrine was supplied by Milton Friedman. The Fraser Institute distributed the doctrine to targeted media—the second-hand dealers—by wrapping it in research, controversial as the research might be. And some media have done an exemplary job of disseminating the doctrine/research to the general public. The final step would be for a sympathetic—and neoliberal—government to move public policy in the direction of education choice. During the 1990s, it was thought that Ontario‘s Mike Harris government, with its “common sense revolution,” would be the one. However, the climate of ideas had not been sufficiently transformed and neoliberalism in education made little headway. Another candidate was the Gordon Campbell government in BC—Campbell was honorary chair at the Fraser Institute‘s 35th anniversary celebration—but support for public education remains strong even after a decade of report cards. The report card‘s special contribution to furthering neoliberal penetration of education in Canada is the message that the school itself—its administration, teaching and counselling—makes the difference in how well students do on provincially administered tests and exams. The institute claims the report card is its attempt to answer the question: “In general, how is the school doing, academically, compared to other schools in the Report Card?” The institute is simply providing a public service that allows parents to choose the school that is best for their children, it declares. But anyone with eyes can see that students in private schools do better that students in public schools, and students in public schools in upper-income areas do better than students in lower-income areas. No question but that the report card is having an impact on how parents of school-age children think about schools. Many parents considered the reputation of a local school when deciding where to buy a house. They mostly relied on word-of-mouth accounts to judge school quality. But the desire of parents to buy into sought-after areas increased once the BC government mandated province-wide standardized tests for reading, writing and math. Of course these are narrow measures of success, but they offered parents something concrete to go along with what they could see for themselves and hear from others. Some commercial media helped authenticate the report card as legitimate public information from the first year it was produced. The 1998 report card on BC secondary schools was given three full days of coverage in The Province, including for-and-against opinion pieces by Fraser Institute executive director Michael Walker and BC Teachers Federation president Kit Krieger, plus a host of letters to the editor for and against the rankings. The extensive coverage validated the rankings as an important public policy issue. It probably didn‘t hurt the Fraser Institute‘s ideological agenda that The Province and other Southam newspapers had recently (1996) been purchased by Conrad Black, a staunch neoliberal himself. Black‘s wife, Barbara Amiel, and his long-time partner, David Radler, joined the Fraser Institute board of trustees and Black‘s company, Hollinger Inc., donated $100,000 to the Fraser Institute building fund. [I]n order to ensure the widest possible dissemination of each report card‘s results, the Institute has arranged with a single major newspaper or newsmagazine to publish all of the individual school reports within the relevant region. The lead media are the Vancouver Sun, Calgary Herald, Edmonton Sun, Toronto Sun, Ottawa Citizen, Windsor Star newspapers, and l’Actualité, Québec‘s leading newsmagazine. Combined, these media annually publish nearly 300 full pages—reaching millions of readers—of the report cards‘ findings and important related stories. In addition, stories about the report cards abound on radio and television and in community papers whenever there is a new release. In 2006 alone, more than 1,000 stories about the report cards were published. Media support for the report cards has dwindled since 2006, at least in BC. In February 2010, neither The Vancouver Sun, The Province, nor the Victoria Times-Colonist gave over their pages to detailed elementary school rankings as they had in the past. Instead, the Fraser approached Black Press, publisher of 70 community and local papers across BC, with an offer of exclusive rights to run the report cards before other media in the province. Some editors and publishers at Black papers weren‘t pleased with the company‘s decision to run the rankings but did run them as ordered by head office. Black Press and CanWest didn‘t run the detailed secondary school report card in June 2010. The rankings, however, did receive news coverage in the newspapers of the Glacier Media Group, such as the Prince George Citizen. The institute seems to have decided it can reach its target audiences more directly through social media like Facebook, Twitter and YouTube (for its videos), along with a web site dedicated to school rankings. This approach gives the institute greater control over the message. There is no longer any need for opinion pieces from critics. With the rankings receiving widespread coverage, real estate agents didn‘t miss a beat, and incorporated the results into their marketing pitches. Brock Smeaton, an agent at Prudential Sussex Realty in West Vancouver, for instance, touts the municipality‘s education options. Some of the finest schools in the province, both public and private, are found in West Vancouver. Independent assessments of educational institutions such as the Fraser Institute‘s annual ranking of BC schools consistently place West Vancouver schools in the upper echelons. Above average performance on standardized tests, high graduation rates, and effective student support by school resources and parents at home are typical of the findings. Hazel Tan, who works out of Royal LePage‘s Kerrisdale office, lists the Fraser Institute as a source of information about education, along with the Vancouver School Board, the University of British Columbia and other post-secondary institutions. As for parents who couldn‘t afford to buy in prime real estate markets like West Vancouver or Vancouver West Side, transferring their children into schools in those districts became an option after the Campbell government loosened catchment-area restrictions in 2002. A study by economist Jane Friesen and colleagues at Simon Fraser University‘s Centre for Education Research and Policy found some evidence that students in Vancouver-area elementary schools were more likely to leave their school when they learned that their schoolmates had performed relatively poorly on FSA tests. The drawback to this study is that it accepts the neoliberal frame, “that increase[d] competition in markets for education can improve educational outcomes by increasing disadvantaged students access to higher quality schools, and by causing underperforming schools to become more effective or to shrink as families ‘vote with their feet.’” The study‘s authors, who received comments and discussion from Stephen Easton, set out to discover the most effective way to get information about school rankings into parents‘ hands. Friesen looked at school-exit decisions of almost 75,000 Grade 4 students enrolled in 14 Lower Mainland school districts between 1999 and 2004. Two categories of students were most likely to leave their low-performing schools, she found: English-speaking students in low-income neighbourhoods and Chinese-speaking students regardless of neighbourhood. But the trend was not very pronounced. Normally, Friesen notes, in a school serving a lower-income population with 50 Grade 4 students, about five students move to another school between Grade 4 and 5. Receiving what Friesen calls “very bad news about average FSA scores” led to one additional student leaving. Friesen had nothing to say about the 34 students who chose to remain in their neighbourhood schools. What do they and their families think about the “very bad news?”Was it really very bad news, or simply the study‘s framing? The situation in secondary schools may be more dramatic. Former Vancouver school trustee Andrea Reimer observed that many parents were applying for their children to attend schools outside their neighbourhoods. She looked at enrolment fluctuations in city secondary schools between 2005 and 2006 and discovered the highest drops in enrolment occurred in East Side Vancouver schools that scored among the lowest on the Fraser Institute rankings: John Oliver, Sir Charles Tupper, Templeton, David Thompson and Britannia. In contrast, Churchill, Prince of Wales, University Hill and Lord Byng—all high-scoring schools on the West Side—gained the most students. With hundreds of families applying to these West Side schools, the chances of getting in are slim. “They find other ways [of getting in], such as forging addresses,” comments Cheryl Davis, from David Thompson‘s parent advisory council. Reimer, Davis and NPA school trustee Don Lee all noticed that some parents were using covert methods, such as using a grandparent‘s address, to apply for enrolment in West Side schools. In a 2006 case, the father didn‘t want the child to continue attending a private school which was expensive and which the Fraser Institute ranked “no better than the public school system.” In a 2009 case, the judge declared that Fraser Institute ratings were not “admissible as expert opinion going to and proving actual qualitative differences between the two schools” proposed by the contesting parents. But he did admit them as proof of the “due diligence inquiries that [the mother] made that guided, in part, her preference” for the school she wanted. Wow, I‘ve never seen this report before, but Brady‘s school received pretty dismal grades the past two years. I‘m not sure it will impact our decision, but it‘s something new to stress about. If the school we assumed he‘d go to had a below average rating for the last 5 years then it would make me stop and think….Lucky our desired school has a good rating. Yes we use them, but not in the same way you are. We are using them while house shopping. You can tell a lot for these results and there is no way we will be buying a house in an area that has below average results on these tests. I only use them to get a general idea but I kind of know where he will be going already. Seeing that the school was ranked quite high just reinforced that decision. Not really. I pretty much know that we‘ll be sending D to Brother Andre unless that French-immersion school appeals to us. I don‘t place any weight on them at all. As I understand it, the rankings are based on the provincial standardized tests. I don‘t think standardized tests tell you much about a child‘s overall academic performance or potential….Our local school ranks fairly low but I‘m not worried in the slightest. 6. What’s wrong with the report card? Given that the report card serves ideological, rather than scientific, purposes, it would be surprising if there were no serious problems with the methodology used to determine school rankings. To advance the Friedman doctrine that competition in education is the only way to improve it, the Fraser Institute has had to concoct a research technique that purports to demonstrate that a school itself—its administration, teaching and counselling—is the key factor in student achievement. This proposition is crucial, since without it, school choice is an empty vessel. The indicators the Fraser Institute selects, and the weightings it gives to them, “exaggerates the differences between schools and school systems,” writes retired Richmond teacher Dietmar Waber, and makes the school into the factor being measured and ranked. The contention, however, that the institute‘s rankings identify schools whose practices, if emulated, will lead to superior academic results is based on the assumption that the differences indicated by high-school exams and FSA tests are attributable to educators and school procedures. This assumption is supported by neither the argument nor the evidence presented by the report card authors. Elementary school rankings are based on The Foundation Skills Assessment, which are standardized, provincially-administer tests written by all students in grades 4 and 7. They are designed to evaluate achievement in the 3-Rs only. Educators have many concerns about these tests. The tests take up too much time and attention that could go to more valuable learning experiences. Until 2010, the tests took place in grade 4 and 7 classrooms over a two-week period. Many teachers feel obligated to prepare their students specifically for the tests. Standardized tests can be valuable, but only when used with multiple sources of data, including classroom-based assessment, to improve teaching effectiveness. The FSAs pose enough problems when used for the intended purpose, to evaluate achievement in the 3-Rs. But the Fraser Institute exacerbates the problems by using FSAs for purposes not intended–evaluating entire schools. To appear to do this—and to advance the Friedman doctrine—they ignore crucial information about individual and socio-economic difference and magnify minor differences in FSA scores by double- and triple-counting them. To calculate the overall ratings for the BC elementary school report card, the Fraser Institute employs a formula that quantifies ten indicators: results of tests on reading, writing and numeracy for both Grade 4 and Grade 7 students, gender differences in reading and numeracy in Grade 7, the percentage of students not meeting expectations, and the percentage of students who did not write the tests because they were absent but not excused. The institute includes no measures of socio-economic status, race, ethnicity, disability, ESL, or school location, in determining its rankings. Using a set of indicators that reinforce each other, Helen Raptis argues, may distort schools’ “true test scores.” Raptis presents the case of Torquay Elementary in Victoria, which tied with several other schools at 131st place provincially on the 2009 BC elementary school rankings. According to the Ministry of Education‘s website, she notes, the percentages of Torquay‘s Grade 4s meeting or exceeding expectations on the FSAs were 97 percent (reading), 85 percent (writing), and 87 percent (numeracy). These figures, Raptis continues, are significantly higher than those for Pacific Christian School, which scored 82 percent (reading), 69 percent (writing), and 76 percent (numeracy). Yet Pacific Christian, which screens students, has smaller class sizes and charges $4,872 in tuition fees, ranked 108th. This example illustrates that the Fraser Institute‘s rankings do not accurately reflect a school‘s academic achievement as measured by ministry-administered FSAs. The problem is that to calculate the rating out of ten, the FI doesn‘t use FSA data directly but weights the indicators. The average FSA score for each of the reading, writing and numeracy tests for each of the two grades (6 tests in total) is allotted a possible 7.5 percent, for a total of 45 percent of the overall rating. And finally, depending on the number of tests in the school that were not written, a certain amount is deducted from the remaining 10 percent. In the Fraser Institute‘s terminology, it is “the percentage of the tests that could have been written by students who were absent, exempted from writing the test or, for any other reason, did not provide a meaningful response to the test.” This indicator was added in 2007 “to encourage schools to ensure a high level of participation in the FSA testing program.” The question must be asked if the indicator is neoliberal advocacy or dispassionate measurement? Is the Fraser Institute attempting to ingratiate itself with the provincial Ministry of Education by encouraging students to write the FSAs, or is it a counter-measure designed to blunt the campaign by teachers to persuade parents not to allow their children to write the FSAs. Schools will be penalized if the BCTF is successful. And there is no evidence that students who don‘t write the tests are among the weaker ones. It could just as well be the case that progressive parents of strong students object to the tests. Nowhere in its reports does the Fraser Institute present any literature that backs up the claim that a school‘s success depends on having a high percentage of its students write provincial tests. For all-girl and all-boy schools, such as some of the highest-ranking private schools, gender gap indicators are obviously not relevant. In these cases, tests not written is given a weight of 20 percent and the percentage of tests not meeting expectation is weighted at 35 percent. “No rationale is given for almost automatically awarding 20 percent to schools that cannot be affected by the vagaries of the gender variable,” Dietmar Waber comments. The arbitrary increases in the values of these two indicators further biases the rankings, favouring controlled-entry schools and penalizing lower-SES schools. A final distortion of the use of FSAs occurs as a result of the way the Fraser Institute combines test results of elementary and middle schools. About 70 percent of the schools in the report card have both grades 4 and 7. The other 30 percent of schools do not enrol Grade 7 students. Instead, students in these schools move on to middle schools, usually after Grade 6. However, the Fraser Institute assigns the Grade 7 FSA results from middle schools to the school the students attended in Grade 4. Is it fair to assign test scores to a school students haven‘t attended for nearly two years? The institute thinks so: “It is reasonable to assume that effective teaching during [Grades 1 to 5] would benefit students as they move through their studies in middle school.” But what about the teaching in the middle school? The institute presents no evidence to support its claim of reasonableness. One is left with the concern that the ranking for 30 percent of schools in the province is invalid, but is necessary to prop up the ideological underpinnings of the project. The average exam mark in Grade 10, Grade 11 and Grade 12 courses that include a mandatory provincial exam. This indicator is worth 25 percent of the total ranking score. It is flawed because the activity of writing compulsory exams reflects a small proportion of learning activities that occur in a school. The percentage of mandatory exams written by the school in which students receive failing grades. This accounts for another 25 percent of the ranking and is little more than a double counting of exam results. The average difference by which the school mark exceeds the examination mark in the courses considered in the first two indicators. This indicator is based on the dubious proposition that the mark achieved on a provincial exam is more objective than the assessment of a student made by teachers in the classroom. If the school mark is higher than the exam mark, it is labelled as “grade inflation” and the school is penalized. This indicator is worth 13 percent of the school‘s evaluation. The differences between male and female students in their exam mark in English 10 and Math 10, which receive 6 percent each. One must ask why the gender gap is worth 20 percent of an elementary school‘s ranking, but only 12 percent for a secondary school? For schools for which there are no gender gap results because only boys or girls are enrolled, such as the elite private schools, the school vs. exam mark difference is increased from 12 to 25 percent. The graduation rate and the delayed advancement rate of students in the school, which receive 12.5 percent each. Where no composite dropout rate can be calculated because a school doesn‘t enrol Grade 10 or Grade 11 students, the graduation rate is weighted at 25 percent. Including scores for graduation rate and delayed advancement rate—which tend to be lower among low socio-economic status students—handicaps low-SES schools. Helen Raptis notes that the research literature is solid in its findings that students’ decisions to drop out are not based solely on their school experiences, which is the assumption made by the Fraser Institute. Often a triggering event in the home environment prompts students to lose interest in their studies. “To imply that graduation and advancement are purely within the control of a school is erroneous and discriminatory to low-SES schools,” she writes. The institute admits that “differences among students in interests, abilities, motivation, and work-habits will inevitably have some impact upon the final results….Such differences in outcomes cannot be wholly explained by the individual and family characteristics of the school‘s students. It seems reasonable, therefore, to include the average examination mark for each school as one indicator of effective teaching.” But the institute makes no attempt to estimate what fraction of the differences in outcomes can be explained by individual and family characteristics. An extensive research literature indicates that demographic characteristics of students and families largely account for differences in student achievement, in contrast to the Fraser Institute claim. This research negates the report card‘s validity. A key study that identified students‘ social and economic backgrounds as factors in their achievement was an analysis of the 2003 US National Assessment of Educational Progress mathematics exam by Christopher and Sarah Theule Lubienski of the University of Illinois. They based their research on the observation that math scores offer a “clearer indication of a school’s effectiveness than reading scores because math is less influenced by the child‘s home experiences than reading.” If a school has an impact on student learning, it is more likely to be seen in mathematics than in reading. Their analysis of tests written by 343,000 Grade 4 and Grade 8 students in 13,500 US schools was the largest ever undertaken. They were addressing previous studies which suggested that students at private schools outperformed those at public schools and concluded that “schools in the choice-based independent sector are the best model for improving achievement in public schools.” The school makes the difference, pro-choice advocates argued. Parents will move their children to higher-performing schools, thus forcing lower-scoring schools to improve or die. This is the same reasoning presented by the Fraser Institute in justifying its ranking programs. Voucher supporters attacked this work because it contradicted the frame the neoliberals were constructing, that students in private schools do better than those in public schools because private schools provide better education. The Lubienski study was invalid, they argued, because it didn‘t draw conclusions about the relative effectiveness of schools. Has student ability grown over time and might a particular type of school cause greater gains in achievement, they asked. So the Lubienskis used a second data set, the Early Childhood Longitudinal Study, which followed the achievement of a nationally representative sample of over 21,000 students in public and private schools from Kindergarten to Grade 5. Using results on math tests, once again, they found public school students achieved almost identical growth as private, non-religious school students and higher growth than students in Catholic schools. “It is worth noting how little variation school type really accounts for in students’ growth in achievement, contrary to the assumptions of voucher advocates,” they conclude. Evidence that private schools fare no better than public schools in preparing students for post-secondary education is provided by the work of George Bluman, a professor of mathematics at the University of British Columbia. Bluman tracked the marks of first-year calculus and physics students at UBC from the mid-1970s to 2005 and discovered that public school students outperformed private school students on these tests. Bluman found little difference between students from East Side and West Side schools. University Hill (ranked 14th on the Fraser Institute‘s 2010 report card), Lord Byng (16th), Sir Winston Churchill (40th), and Eric Hamber (86th) on Vancouver‘s West Side, and Killarney (105th), Templeton (141st), and King George (223rd) on the East Side or West End, all ranked in the top third of schools in the 2005 first-year courses. In contrast, private schools, such as York House (1st), St. George‘s (1st) and West Point Grey Academy (4th) were near the bottom. So far, Bluman has not explained the results. Further doubt is cast on the Fraser Institute‘s method of ranking schools by the C.D. Howe Institute, which has produced its own rankings of BC, Alberta and Ontario schools and reached some very different conclusions. The Toronto-based C.D. Howe is not a classical neoliberal think tank like the Fraser or the Atlantic Institute for Market Studies, but it is still tightly tied to Big Business, which provides the bulk of the institute‘s funding. Coincidentally, perhaps, the institute‘s work usually supports business interests. For about six years, between 2002 and 2008, C.D. Howe was a leading advocate for deeper integration between Canada and the US, something greatly desired by business during those years. Not all Big Business interests support the Friedman agenda for school privatization. But they are strongly behind testing and accountability, because of a desire for a “better educated” work force, one that is more useful to business. The main difference between Fraser and Johnson‘s rankings is that Johnson attempts to take into account socio-economic status and other demographic variables in determining a school‘s performance. He compares outcomes in schools where students come from similar backgrounds. But his goal is still to determine which schools do the best job of educating their students, this being understood as performance on FSA tests or provincial exams. A second difference is how the two think tanks handle middle schools. The Fraser assigns the Grade 7 results of students in middle schools to their elementary schools, based on the dubious assumption that middle schools contribute nothing to student growth. Johnson more sensibly separates middle schools into different groups and compares schools that end at Grade 7 as one group, schools that end at Grade 6 as another group, and then a third group comprising all other grade ranges. Like the Fraser Institute report card, this is a key flaw in Johnson‘s work: assuming that improving performance on three limited tests is the best—and most significant—means of preparing children to face the world. Perhaps experience working in groups, volunteering in the community, or in independent thinking and problem solving are what the world needs. Or perhaps even experience with the values of empathy, tolerance, universality, inclusiveness, human rights, respect and kindness? Another flaw is that the socio-economic status and other demographic variables Johnson uses are limited and dated. Johnson identifies students‘ postal codes and relates them to census data to derive a picture of family backgrounds. But how accurate is this picture? Only four variables are considered: the percentage of households that moved in the last year, the percentage of lone-parent households, the unemployment rate, and the percentage of adults over 20 with some university education. The problems here is that average values can be calculated for residents of a particular postal code/census tract, but the specific student/family may be well below or above the average. Further, the census is based on May 2006 data, which by 2010 was four years out of date. And the 2010 school report is based on 3 school years: 2005/06, 2006/07 and 2007/08. Despite the problems with Johnson‘s work, the fact that he introduced some socio-economic factors into his analysis has resulted in a product superior to the Fraser rankings. Some interesting discrepancies show up in the two reports. The Fraser Institute ranks Roosevelt Park Elementary in Prince Rupert 875th out of 876 schools in the province, the second-worst school, according to the Easton-Cowley measures. Johnson, in contrast, ranks Roosevelt, with 90 percent Aboriginal, and 32 percent special needs students, as one of the top 17 schools in the province. School report cards put teachers and education experts in a difficult position. As this paper has demonstrated, and as educators already know, the rankings are false and misleading. But educators do their cause little good when they refute the rankings. University of Michigan social psychologist Norbert Schwarz and his colleagues found that repeating falsehoods and slogans helps lodge them in people’s minds. Refuting them can lead people to remember the falsehoods better. It doesn‘t seem to matter if the falsehood comes from several sources or from one source repeating it multiple times, Kimberlee Weaver of Virginia Polytechnic Institute and her colleagues found. “A repetitive voice sounds like a chorus,” they contend. Hearing the same message repeated many times by a single source may result in the erroneous impression that it is widely shared. Adolf Hitler held a similar view. He wrote in Mein Kampf that “only constant repetition will finally succeed in imprinting an idea on the memory of the crowd.” Repetition is a signature technique in the project to advance the neoliberal agenda and it is a hallmark of Fraser Institute studies: hospital waiting lists for 19 years; “Tax Freedom Day” for 34 years; an “Economic Freedom of the World” index for 13 years; and BC secondary school report cards for 13 years, and counting. Educators respond to the report cards with accurate information, pointing out limitations in the ranking system, such as the narrowness of the criteria. But the studies done by Schwarz and Weaver suggest that denials and clarifications, even though they seem like the correct thing to do, can actually increase the impact of the report cards. Once an idea has been lodged in people‘s minds, it can be challenging to remove it. Rather than refuting a false claim, Schwarz and his colleagues concluded, it is better to put forward a completely new claim that makes no reference to the original falsehood. University of California cognitive scientist George Lakoff makes a similar point when he explains that conservatives are winning the war of ideas because they have managed to frame public debate on just about every issue. Lakoff defines frames as mental structures that shape the way we see the world. Once a frame has been clamped on an issue of public concern, denying the frame merely reinforces it. Lakoff‘s book, Don’t Think of an Elephant, emphasizes the impossibility of ignoring frames. He tells his students: “Don‘t think of an elephant” and, of course, that‘s all they can think about. George W. Bush talked incessantly about tax relief, Lakoff explains. For there to be relief, there must be an affliction. When relief is tied to tax, tax becomes the affliction and Bush is the hero who can relieve us of our affliction. The Democrats, Lakoff observes, soon started presenting their own version of a tax-relief plan. They had fallen into a Republican trap. Instead they should have said that tax revenues provide us with essential social goods and help keep our society together. Says Lakoff, “taxation is what you pay to live in a civilized country.” But that requires a different frame. Lakoff believes there are two fundamental frames or visions of modern society—conservative and progressive—and traces them back to two models of the family: the strict father and the nurturant parent. The strict father frame is grounded in authority, discipline, punishment, competition, and self-interest. When applied to social programs, the frame says “it is immoral to give people things they have not earned because then they will not develop discipline and will become both dependent and immoral.” Conservatives—especially neoliberals—are against social programs that take care of people. The nurturant parent frame is based on empathy and responsibility, fulfillment, freedom, fairness, honest communication, community and trust. When applied to social programs, this frame says government is a strong, nurturant parent, responsible for making sure that the basic needs of its citizens are met for food, shelter, education, health care and opportunities for self-development. Citizens who are not willing to support government in fulfilling these obligations are immoral and irresponsible, the frame says. Everyone uses both frames, Lakoff argues, either actively or passively. Progressives can watch a John Wayne movie and understand what is going on. Conservatives, likewise, can watch The Cosby Show and understand it. “Everyone has both world views because both world views are widely present in our culture,” he writes. People in the middle regularly use both models in different parts of their lives. University professors could be nurturant parents at home, but strict fathers in their classrooms. The goal for progressives is to activate the nurturant parent model in the people in the middle. They can do that by talking to people using high-level frames based on their world view. Like other high-level frames such as freedom, justice, equality, and fairness, accountability is a contested concept, with different meanings for progressives and conservatives. For both, it is tied to responsibility. “Whoever is responsible is accountable and can be made to answer for not living up to his or her responsibilities.” The conservative view of accountability focuses on the individual and the school. Regardless of circumstances, if a student or school does not succeed, it is their own fault for not working hard enough to produce the necessary learning. The progressive view of accountability focuses on the government and the individual. The government must be held accountable if it does not provide the teachers, books, computers and lab equipment for students to have an effective and rigorous learning experience. After that, it is the student‘s responsibility. Testing and report cards fit comfortably within the strict father frame. When a testing frame is applied, “not just to students but also to schools, then schools can metaphorically fail—and be punished for failing by having their allowance cut.” Without the funding, schools cannot improve, and that will lead to a cycle of failure and ultimately elimination for many public schools. A voucher system to support private schools replaces the public school system. “The wealthy would have good schools—paid for in part by what used to be tax payments for public schools. The poor would not have the money for good schools. We would wind up with a two-tier school system, a good one for the ‘deserving rich’ and a bad one for the ‘undeserving poor,’” Lakoff explains. Over many decades of effort, neoliberal organizations and politicians have pounded the conservative education frame so frequently it seems like common sense for most people. Even some progressives think about education using the conservative frame, advocating, perhaps, for better tests, better use of test scores, more test preparation and different teachers. Cognitive interview research conducted by the FrameWorks Institute of Washington, DC confirms that interview respondents overwhelmingly think about education in terms of individuals and the conservative education frame. Missing from interview respondents‘ thinking about education was the progressive frame—an awareness of the collective benefits of education. FrameWorks helps non-profit organizations in building their communications capacity by helping them frame their issues. It has worked with progressive educators for several years to develop progressive frames for education “reform,” which has most frequently been framed conservatively. In the conservative frame, the benefits of education accrue to individuals “in the form of being a successful adult: getting by in the adult world, getting a good job, and getting along with others.” When the public hears the word “reform,” it thinks of teachers, students and their parents, and ignores all other aspects of the education system. “Thinking about and recognizing the social and collective benefits of education was conspicuously absent from the interview data,” the study noted. FrameWorks repeats the warnings of George Lakoff and Norbert Schwarz: “By working along the grain of dominant individualist thinking, reformers run the risk of further entrenching cultural models that interfere with the systemic changes that education reformers wish to effect.” It concludes “there is considerable work to do in reframing how Americans think about and understand the education system—important preconditions before reforms become ‘thinkable’” Even using the word ‘reform’ to talk about progressive change may be a problem since conservatives have captured control of the word‘s framing. (Think Reform Party, for instance.) A different word may be necessary. The first step taken by FrameWorks in making progressive education reforms thinkable was to create a simplifying model, a metaphor that fits in with the public’s existing patterns of assumptions and understandings about an issue, but is also based on concepts developed through expert knowledge. “Greenhouse gases” and “trickle down” economics are two examples of simplifying models. Experts and advocates know, but the public is only vaguely aware, that the benefits of education are collective, that education can happen in many settings in the community, and that disparities in educational outcomes are tied to the resources available to poor communities. The key simplifying model FrameWorks developed was the education system as an orchestra, based on thinking that the functioning of the education system relies on a wide range of individuals and groups. “An orchestra has many players with specialized jobs, such as school boards, taxpayers, families, teachers, principals and administrators. The orchestra sounds best when each musician is skilled, the instruments are well-tuned, and the sections work together in harmony towards the common goal of playing the best music they can…” FrameWorks found the education system as orchestra model was successful in inoculating respondents’ thinking against the dominant conservative education frame, particularly against the consumerist and “individual purpose of education” models. A second step towards progressive education reform was to test different values that might elevate public support for such reforms. One value in particular, which FrameWorks calls “future preparation,” was most effective. The proposition that “Education should teach the basics, plus 21st century skills like teamwork that can help students prepare for the challenges of the future,” elevated public support for progressive education reforms. FrameWorks sees this value as being tied to the notion of broad social responsibility: other actors, including government, have a legitimate role to play in education. This framing analysis focuses on American frames and values simply because most of the work is being done in the US. There are, obviously, important differences between Canadian and American values in education. Canadians are probably more committed than most Americans to the collective and social functions of public education. Nonetheless, there is a long way to go to establish a progressive frame for education. First is the need to develop one or more simplifying models. Then various values must be tested for progressive reform. The value of justice—and its association with fairness, equity, equality and community—will likely emerge as key in organizing the progressive education frame. Finally, public education supporters need to fashion key messages and be prepared to communicate them to the public repeatedly until they can challenge the conservative (or neoliberal frame). There is already a lesson plan for this endeavour courtesy of the Fraser Institute. In the meantime, progressives need to address the concerns of people who approach the education of their children using the conservative frame. What can public education supporters say to families who plan to purchase homes in top-ranking school catchment areas or are discussing their parenting plans on the Wedding Bells discussion list? With the risk of reinforcing the frame, the flaws in the report card must continue to be exposed. At the same time, and to inoculate them against the conservative frame, these parents might be open to the message that a full orchestra is necessary to make the beautiful music of a properly functioning public education system. Peter Cowley, “Value of FSA data is in seeking improvement,” Nanaimo Daily News, 12 Feb 2010, A10. Peter Cowley, Stephen Easton and Michael Thomas, “Report card on British Columbia‘s elementary schools 2010,” Fraser Institute, Feb 2010, 3. Janet Amsden, “The great debate in school measurement,” Teacher Newsmagazine 19, No. 5, Mar 2007, http://bctf.ca/publications/NewsmagArticle.aspx?id=11484. Helen Raptis, “The case against the Fraser Institute‘s school rankings,” Victoria Times-Colonist, 7 Feb 2010, C10. Lakoff‘s conservative frame combines neoliberalism (economic conservatism) and social conservatism. Milton Friedman, “Neo-liberalism and its prospects,” Farmand, 17 Feb 1951, 89-93. David Harvey, A Brief History of Neoliberalism, New York: Oxford University Press, 2005, 2. Philip Mirowski, “Defining neoliberalism,” in Philip Mirowski and Dieter Plehwe, eds., The Road From Mont Pèlerin: The Making of the Neoliberal Thought Collective, Cambridge MA: Harvard University Press, 2009, 427. Timothy Mitchell, “How neoliberalism makes its world,” in Philip Mirowski and Dieter Plehwe, eds., The Road From Mont Pèlerin: The Making of the Neoliberal Thought Collective, Cambridge MA: Harvard University Press, 2009, 387. Friedrich Hayek, “Intellectuals and socialism,” University of Chicago Law Review 16, no. 3: 417-433. Milton Friedman, “The role of government in education,” in Robert A. Solo, ed., Economics and the public interest, Rutgers University Press, 1955. Milton Friedman, “Public schools: Make them private,” Washington Post, 19 Feb 1995, C7. Jennifer Sloan McCombs and Stephen J, Carroll, “Ultimate test: Who is accountable for education if everybody fails?” Rand Review, Spring 2005, 14. Don Williamson, “City schools do well in state assessment,” San Diego Union-Tribune, 16 Jan 1985, B3; Michael Smolens, “Education funding initiative unveiled,” San Diego Union-Tribune, 17 Nov 1987, A3; Mark Arner, “2 measures would aid schools,” San Diego Union-Tribune, 30 Sep 1988, A3; Mark Arner, “Honig cites Prop. 98 win as a sign voters support school reform campaign,” San Diego Union-Tribune, 10 Nov 1988, A14. “School budget plan hotly debated,” San Francisco Chronicle, 16 Mar 1992. Quoted in David Harmer, School choice: Why you need it—How you get it, Cato Institute, 1994, 86. Jonathan Marshall, “Test scores analysis shows state schools doing well,” San Francisco Chronicle, 9 Sep 1997, A1. “San Francisco think tank elects new officers,” PR Newswire, 28 Jul 1993. Sam Delson, “Hayes‘ education package includes plan for vouchers,” Riverside Press-Enterprise, 17 Feb 1999, B7. Stephen Easton, Education in Canada, Vancouver: Fraser Institute, 1988. Easton‘s work to privatize and marketize everything seems to be highly regarded by his colleagues at SFU, since he won the 2009 Dean‘s Medal for Academic Excellence. Fraser Institute, “Toward the new millennium – A five year plan for the Fraser Institute – Draft,” no date, 16. Jamie Lamb, “Pamphlet an eye-opener for parents of high-school students,” Vancouver Sun, 23 Sep 1994, A3; Terry Taylor, “On-line parent‘s guide offers timely information,” The Province, 9 Sep 1996, B5; “Special report: Grading our schools,” The Province, 4 Mar 1998, A9. John Bermingham, “50,000 gear up for exams,” The Province, 20 June 1999, A18. “A fistful of secret power – and an arms business to prop it up,” The Province, 4 Feb 1994, A30. The foundation held assets of $78 million in 2005. Canadian Revenue Agency, “Qualified donees – The W. Garfield Weston Foundation,” Charities Listings, modified 10 Nov 2008, http://www.cra-arc.gc.ca/chrts-gvng/lstngs/menu-eng.html. Peter Cowley, “Bringing education into the marketplace: Part I – The report card on schools,” Fraser Forum, Sep 2007, 6. Peter Cowley, “Bringing education into the marketplace: Part II – Duplicating successful schools,” Fraser Forum, Sep 2007, 13-16. Jeffrey Henig, “Education policy from 1980 to the present: The politics of privatization,” in Brian J. Glenn and Steven M. Teles, eds., Conservatism and American political development, New York: Oxford University Press, 2009, 306. “Government-sponsored training programs not a solution for unemployed Canadians,” News release, Fraser Institute, 12 Dec 1997, http://oldfraser.lexi.net/media/media_releases/1997/19971212.html. Claudia Hepburn, ed., Can the Market Save Our Schools? Vancouver: Fraser Institute, 2001. Mike Harris and Preston Manning, “Caring for Canadians in a Canada strong and free,” Fraser Institute and Montreal Economic Institute, 2005. Peter Cowley, “Bringing education into the marketplace: Part I – The report cards on schools,” Fraser Forum, Sep 2007, 7. Janet Steffenhagen, “Black press publisher rebukes Fraser Institute report card,” 4 Feb 2010, http://communities.canada.com/VANCOUVERSUN/blogs/reportcard/archive/2010/02/04/black-press-editorial-lambastes-fraser-institute-report-card.aspx. Brock Smeaton, “Educational options: An attraction of West Van real estate,” 27 Apr 2010, http://www.brocksmeaton.com/real-estate-blog/market-news/educational-options-an-attraction-of-west-van-real-estate/. Hazel Tan, “Local links: Education,” Royal LePage, no date, http://www.hazeltan.ca/localinks.htm. Jane Friesen, Mohsen Javdani and Simon Woodcock, “Does public information about school quality lead to flight from low-achieving schools?” Simon Fraser University, Centre for Education Research and Policy, 13 Jan 2010, http://www.sfu.ca/cerp/research/test_info_and_school_choice.pdf; Janet Steffenhagen, “Chinese-speaking parents more likely to take their kids out of low-ranked schools,” Vancouver Sun, 13 Jan 2010, A4. Rob McMahon, “Student exodus threatens East Side schools,” Georgia Straight, 15 Feb 2007, http://www.straight.com/article-70975/student-exodus-threatens-east-side-schools. Hancock v. Hancock, 2003 BCSC 1089. Valastiak v. Valastiak, 2006 BCSC 525. A.E.E. v. L.L., 2009 BCPC 284. Evilmena, “Fraser Institute school rankings – Do you use them?” 18 May 2010, http://forums.weddingbells.ca. Noel Herron, “The Fraser Institute‘s flawed report card,” Teacher Newsmagazine 20, No. 2, Oct 2007, http://bctf.ca/publications/NewsmagArticle.aspx?id=14288. Dietmar Waber, “Examining the examiners. Reflections on non-partisanship, the Fraser Institute and the report card on schools,” Education Canada 46, Iss. 3, Summer 2006, 7. In 2010, the province extended the period during which the tests could be given to five weeks, with a choice of times within this frame. The Fraser‘s concern about gender differences is curious given the institute‘s lack of concern about this issue within its own organization. Its board of directors, for instance, comprises 44 males and three females. Peter Cowley and Stephen Easton, “Report card on British Columbia‘s elementary schools 2009,” Fraser Institute, Feb 2009, 6. Peter Cowley and Stephen Easton, “Report card on British Columbia‘s elementary schools 2007 edition,” Fraser Institute, May 2007, 4. Cowley et al., op cit., 5. Christopher Lubienski and Sarah Theule Lubienski, “Charter, private, public schools and academic achievement: New evidence from NAEP mathematics data,” National Center for the Study of Privatization in Education, Teachers College, Columbia University, Jan 2006, http://www.ncspe.org/publications_files/OP111.pdf. Christopher Lubienski, Corinna Crane and Sarah Theule Lubienski, “What do we know about school effectiveness? Academic gains in public and private schools,” Phi Delta Kappan, May 2008, 689-695. Selcuk R. Sirin, “Socioeconomic status and academic achievement: A meta-analytic review of research,” Review of Educational Research 75, No. 3, Fall 2005, 438. Shelley Phipps and Lynn Lethbridge, “Income and the outcomes of children,” Statistics Canada, 11F0019MIE, No. 281, May 2006, 4. George Bluman, “First year calculus results,” Mathematics Department, University of British Columbia, 21 April 2006, http://www.math.ubc.ca/Outreach/Schools/FirstYearCalculus/2005_school_study_conf.pdf; Christy Clark, “You don‘t have to pay for private school to get your children ahead,” The Province, 4 March 2007, A20. It is true that top graduates from the elite private schools may go to more prestigious universities, but that would not fully account for the huge disparity in calculus grades. David Johnson, Abigail Payne and John Richards, “The FSA controversy: Missing the whole story,” Vancouver Sun, 19 Dec 2008, A17. David Johnson, “British Columbia‘s best schools: Where teachers make the difference,” C.D. Howe Institute e-brief, 10 Jun 2010, http://www.cdhowe.org/pdf/ebrief_100.pdf. David Johnson, “How to assess a school‘s performance,” Vancouver Sun, 11 June 2010, A15. Ontario Public School Boards‘ Association, “Flaws in the C.D. Howe report,. 27 Aug 2008, http://www.opsba.org/index.php?q=advocacy_and_action/flaws_in_the_cd_howe_report. Shankar Vedantam, “Persistence of myths could alter public policy approach,” Washington Post, 4 Sep 2007, A3; Norbert Schwarz et al., “Metacognitive experiences and the intricacies of setting people straight: Implications for debiasing and public information campaigns,” Advances in Experimental Social Psychology 39, 2007, 127-161. Kimberlee Weaver et al., “Inferring the popularity of an opinion from its familiarity: A repetitive voice can sound like a chorus,” Journal of Personality and Social Psychology 92, No. 5, 2007, 821-833. George Lakoff, Don’t think of an elephant! Know your values and frame the debate, White River Junction VT: Chelsea Green Publishing, 2004, 24. As noted in footnote 5, Lakoff combines neoliberalism (economic conservatism) and social conservatism under his rubric of conservative. George Lakoff, Moral politics: What Conservatives know that Liberals don’t, Chicago: University of Chicago Press, 1996, 179. Lakoff, Don’t think of an elephant, 20. George Lakoff, “Making accountability accountable,” Huffington Post, 13 Jul 2007, http://www.huffingtonpost.com/george-lakoff/making-accountability-acc_b_43538.html. Lakoff, Don’t think of an elephant,, 32. And also social conservative organizations and politicians, but these are not discussed in this report. Hilary Chart, “Reform what? Individualist thinking in education: American cultural models on schooling,” FrameWorks Institute, Sep 2008, 4, http://www.frameworksinstitute.org/assets/files/PDF_Education/education_cognitive_interviews.pdf. Nathaniel Kendall-Taylor, “Orchestrating systems and remodeling reform: Reframing education reform with simplifying models,” FrameWorks Institute, Nov 2009, http://www.frameworksinstitute.org/assets/files/PDF_Education/orchestrating_systems_and_remodeling_reform.pdf. ← Why Attack the Long Census?